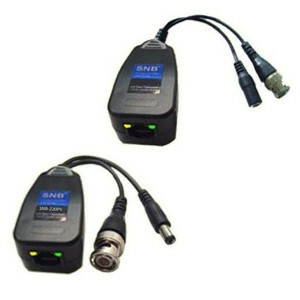 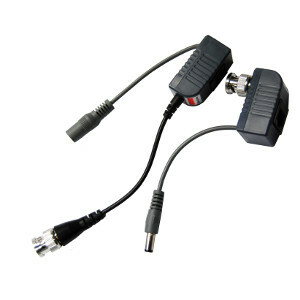 This CCTV Video BNC Balun is a single channel passive video balun/transceiver, and it also features the added value of Power connections to and from the camera. 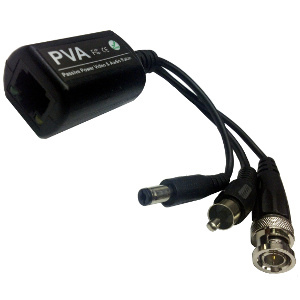 It allows transmission of real-time and high-performance color or monochrome (B/W) CCTV video over UTP (Unshielded Twisted Pair) cable. 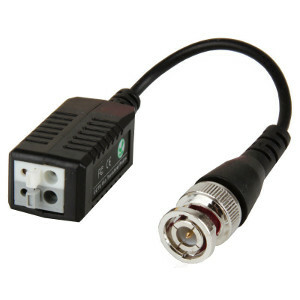 It is small enough that it can be directly equipped to a camera.